In Stock Essential Oils Sale! 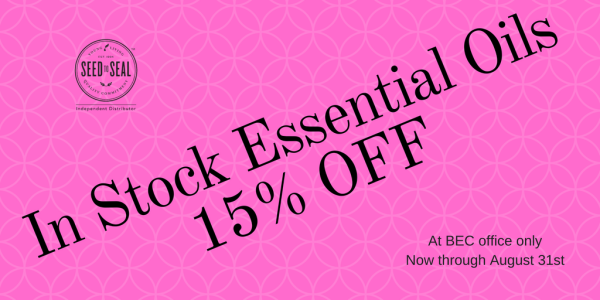 Save 15% on any oil Bec has in stock! 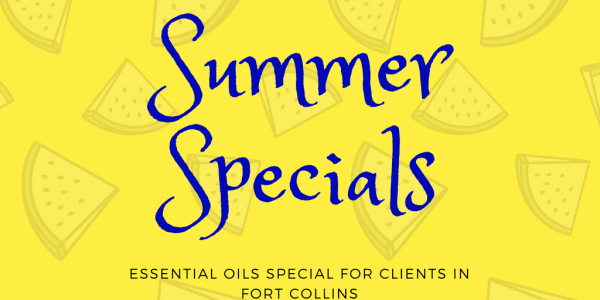 Schedule an Essential Oil Appointment with Bec to pick up that essential oil you have been longing for or get personal help choosing the oils that are right for you. 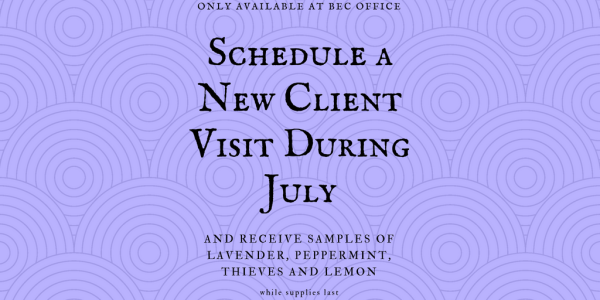 Receive samples of lavender, peppermint, lemon and thieves Young Living essential oils when you come in for your New Client Visit scheduled during July. Supplies are limited. So, schedule now.